Where is Eye & Dunsden? 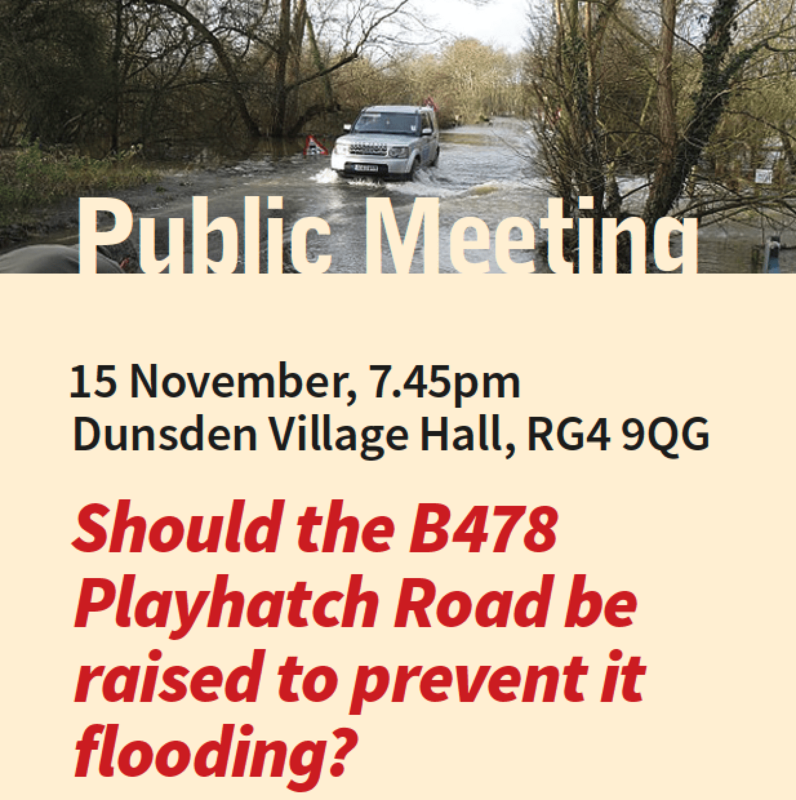 On 15th November around 36 members of the public Oxfordshire’s Highways & Transport Asset Manager Mr David Bullock give a presentation about raising the level of the Playhatch road to prevent it flooding. Oxfordshire is preparing a business case for around £7m funding from the Department for Transport. The return on the investment is high, with the probability of flooding of the road reducing from a one in three year event to one in 20 years. Around 54 3m wide box culverts are expected to be installed under the new road, which will be raised by around 40cm on average, with up to 80cm in the lowest sections. A fundamental principle of the design is that it will not make the flooding of local houses worse. Some locals were concerned that the scheme does not sufficiently address the flooding of the Playhatch road between the French Horn hotel and the Sonning Eye mini-roundabout. 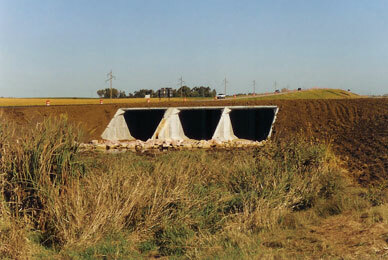 OCC says that the culverts installed elsewhere will provide flooding relief to this stretch. Next Tuesday’s parish council meeting will begin at 7.45 with a public meeting at which we will hear from David Bullock, CEng MICE who is Oxfordshire County Council’s Highways & Transport Asset Manager. He will be providing an update on the preparation of a business case for raising the B481 Playhatch Road by up to 80cm in order to raise it above the level of recent floods. The work does not include raising the level of the road by the French Horn and Frizers Farm in Sonning Eye. Although culverts are included, the Sonning Eye Action Group has raised concerns the the proposed work may act as a dam, worsening local flooding.